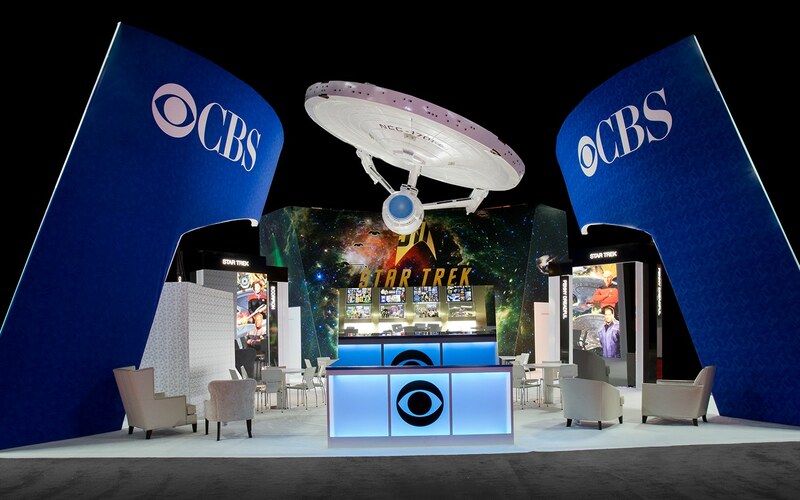 homage to television show Star Trek Discovery by using a large fabric wall that allowed visitors to literally get a glimpse into the Star Trek universe. 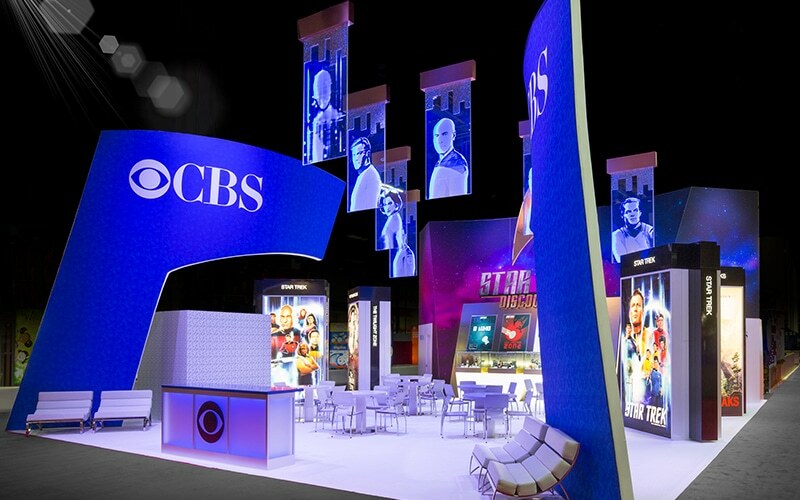 Acrylic characters of the show were illuminated from the top of the booth, with designs resembling an intergalactic material. This allowed the Star Trek heroes to appear as if they were floating across the momentous exhibit. 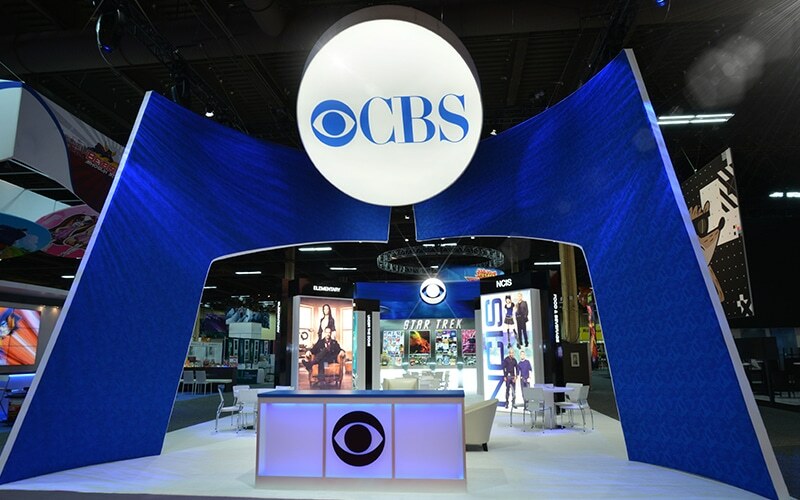 Through the use of fabric, lighting, and graphics, we are able to transform the CBS booth into an entirely new environment seamlessly, and we can’t wait to see what intergalactic changes they have in mind for years to come.